Summer week has started and its going great. Well done to Andrew for winning the Gone2Pot Junior Rankings for the second year running. And Well done to L Leech and S Khan who competed in their first EASB junior event recently. 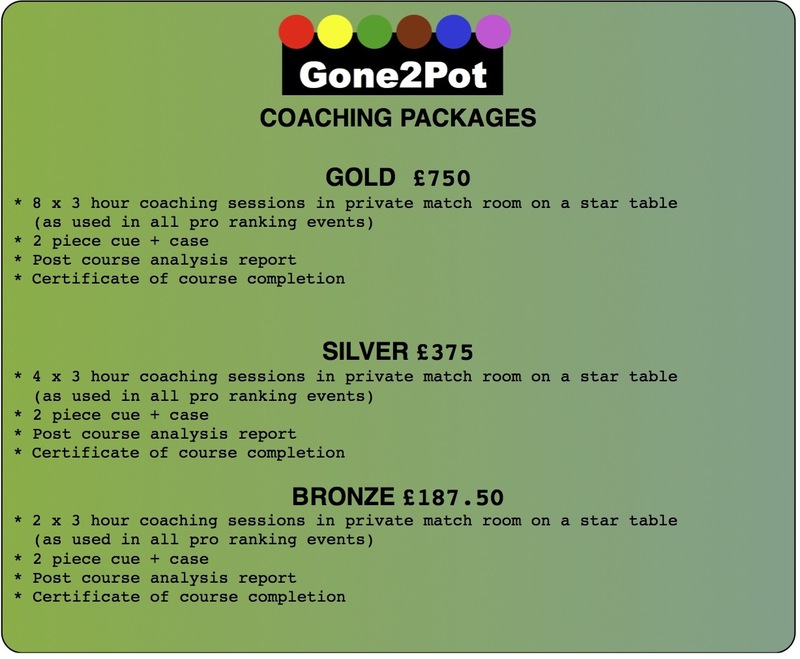 Did you know Gone2Pot can travel to your local snooker club to offer coaching? ﻿Contact me for further information. Gone2pot is going to host a summer week at the end of July for the under 16's. The week will consist of a host of activities. Please ﻿Contact me for more information. Rude comments and spamming on the guestbook is not permitted, those found to be abusing this will be banned from using it.